In my lifetime, I have owned seven cars. Of these cars, I only sold one of them on my own. It was a 1991 Grand Am which I bought from my parents. I sold it back to them, for a much lower price, because I was broke and needed some cash. My other cars were traded in for a newer model (I rarely got the best deal on my car) or donated to charity. The reason why I was reluctant to sell my cars on my own was that the process was so tedious. First, you had to figure out how much your car was worth, a technique that combined voodoo, calculus, and a dose of luck (this was before online sites became popular). Then you had to buy a classified ad or post flyers throughout the city and wait for someone to call you. 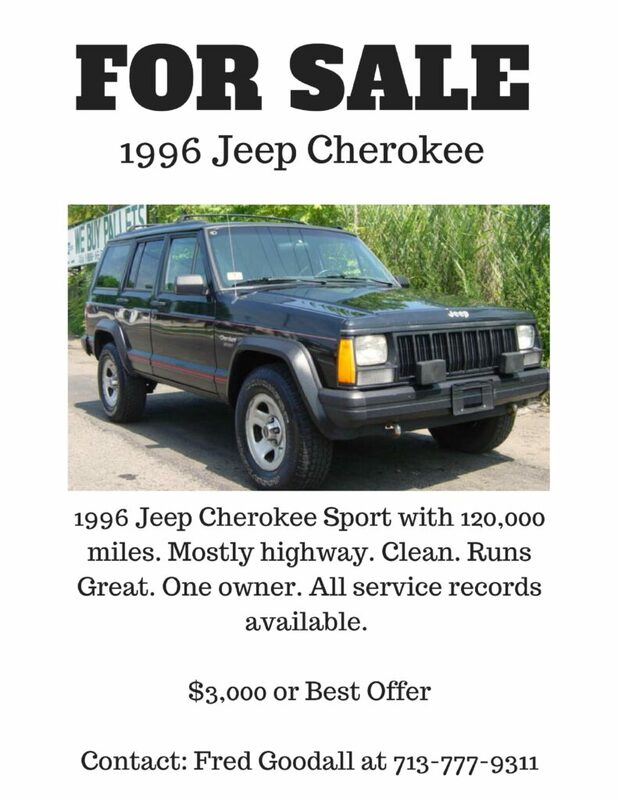 This is a recreation of the flyer I created when I was trying to sell my Jeep Cherokee in 2003. Now there is a simpler way to sell your car. 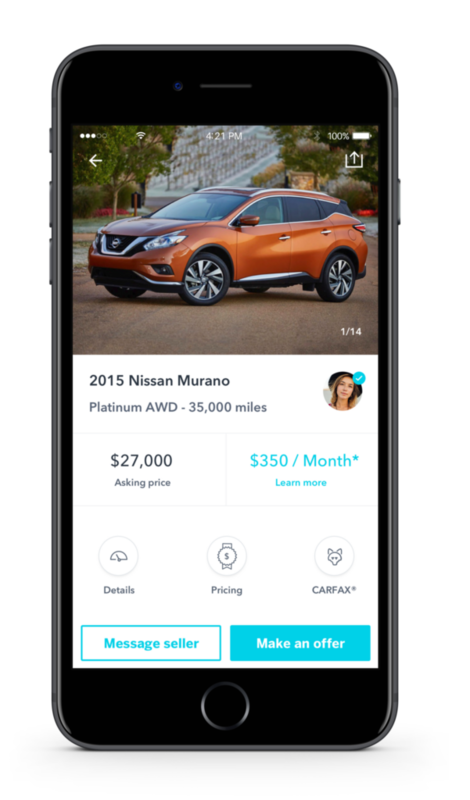 Blinker is an easy-to-use mobile app that puts you in control of the selling process. If you can snap a photo, you can sell your car. Watch this video to learn how easy it can be. I really like that the app helps you to price your car. Pricing was a major stumbling block for me because I always over-valued my vehicles. We had been through so much together. I couldn’t just give them away to total strangers. If someone wanted my one of my vehicles, he or she had to pay a handsome price for it. Obviously, that tactic didn’t work. Thankfully, Blinker can help you set a realistic price that buyers are willing to pay. Blinker also makes the process easy for buyers. You can search through thousands of listings to find your perfect ride. In just a few minutes, Blinker can pre-approve you for vehicle financing, allowing you to see exactly what your monthly payment would be. When you’re ready to buy, you can do all negotiations in the app and complete the purchase. Blinker’s listing looks a bit more professional than my flyer. The free app just launched in Texas and is also available in Colorado and Florida. Share your car selling and buying experiences in the comments or on our social media channels.